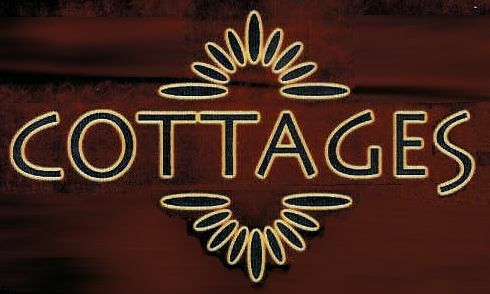 Dakota Outback Cottages is the latest concept in lodging, offering a new and affordable choice between Motels and Bed & Breakfasts. 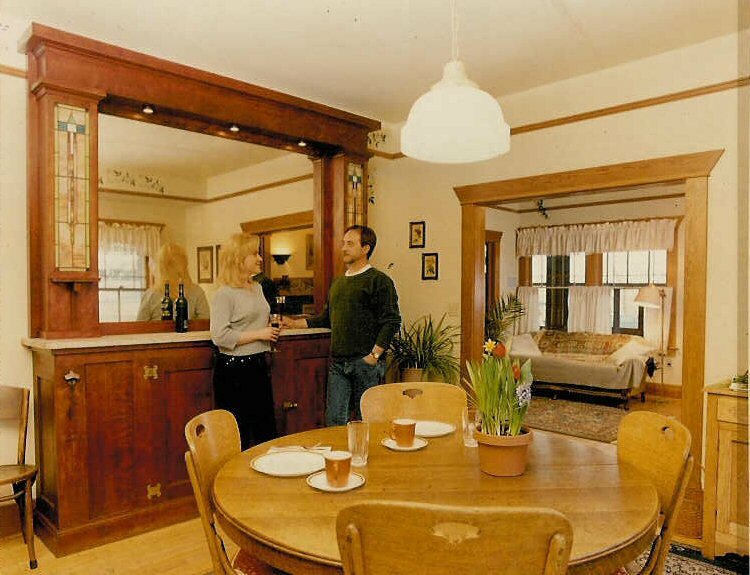 Cottage 1 is a restored, three bedroom, 1917 Arts & Crafts Bungalow. It features a fully equipped kitchen, laundry facility, gas fireplace and a huge back bar for your entertaining pleasures. The front porch is a great place to watch the world go by. The Pastoral scenery lets you wander through your thoughts and enjoy the solitude of the surroundings. The warm, soothing properties of the sauna will warm you up on one of those chilly days, and later you can enjoy a movie on the DVD players provided. Enjoy your favorite music on the surround sound stereo while soaking in the antique pedestal bathtub. Cottage 1 can be the romantic get-a-way that you have been looking for. The Privacy and serenity is wonderful. Cottage 1 would make a perfect retreat for anyone seeking time away from the busy City life. 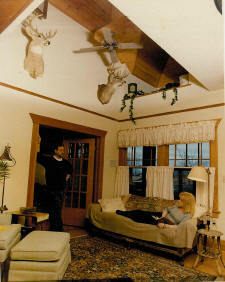 Hunters may take advantage of what Cottage 1 has to offer during hunting seasons. Cottage 1 is the perfect place for a family vacation. Bring the whole family, the kids can rough it. Put up our tent and let them camp in the backyard. 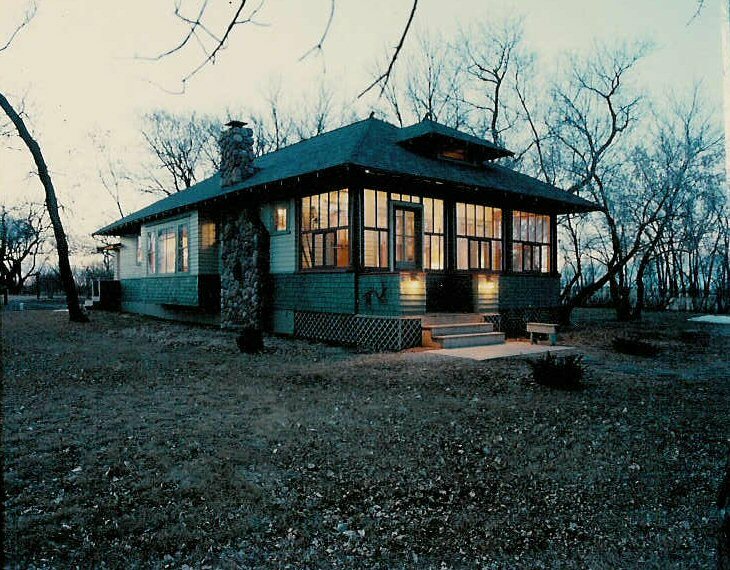 Dakota Outback Cottage 1 is the Perfect retreat for any occasion!!! The surrounding area offers fishing, boating, swimming, snowmobiling, and cross country skiing in season. There are bird watching opportunities and hiking at two nearby preserves. The hunting in this area is great. Dawson has an annual Independence Day Celebration that you may wish to take part in. 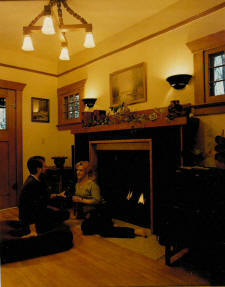 Dawson has all services, restaurants are open from 8:00 AM to 10:00 PM. Stop at the Lakeview Bar & Grill to eat and treat yourself to some of the best food around, located 2 1/2 miles south of town. While you are there you'll see the windmill from the movie, "Dances with Wolves", along with seeing the World's Largest Chicken!